Gleaning Season off with a Blast! We’re definitely off and running! 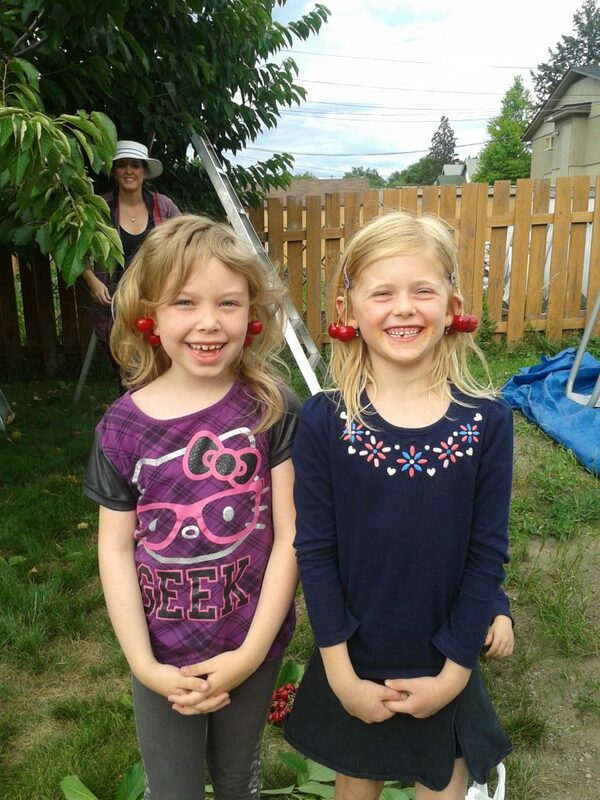 We had six harvests our first week and picked over 800 pounds of cherries (and had fun doing it!). Over 400 pounds of delicious fruit went to the Food Bank, Boys & Girls Club, ASK Wellness, Brock Activity Centre, Kamloops United Church PIT stop, and the Mount Paul Community Food Centre, and more. Thanks to our hard-working volunteers, generous tree owners, and community agencies for helping us share the abundance! http://kamloopsfoodpolicycouncil.com/wp-content/uploads/2018/06/20180628_182635.jpg 2560 1920 Sandra Frangiadakis http://kamloopsfoodpolicycouncil.com/wp-content/uploads/2018/04/KFP_logo_print_full_flat-300x180.png Sandra Frangiadakis2018-06-29 14:59:582018-07-06 22:35:57Gleaning Season off with a Blast! July Network Meeting — Peruse Our New Website! http://kamloopsfoodpolicycouncil.com/wp-content/uploads/2018/06/Screenshot-2018-06-27-14.00.10.png 681 1399 Michelle Tsutsumi http://kamloopsfoodpolicycouncil.com/wp-content/uploads/2018/04/KFP_logo_print_full_flat-300x180.png Michelle Tsutsumi2018-06-29 10:57:082018-07-11 11:11:43July Network Meeting -- Peruse Our New Website! A memorandum of understanding has been signed between the Farm to School program and KFPC. And congratulations are in order for Bonnie Klohn, who will be the new Farm to School Kamloops Animator! Another Community Food Research Alliance meeting was facilitated with increased attendance and action items. Bonnie, Sandra and Carole presented a United Way proposal to the Community Impact Council. Bylaws are being updated and the Board is delighted with the names that have been coming forward in the Board nomination process in preparation for the AGM on August 1. The Board also supported staff in the recruitment and selection of the Social Enterprise Coordinator and summer student positions. KFPC confirmed our role as a community partner with the 2018 Wild Salmon Caravan (WSC). The WSC, which raises consciousness about the spirit of this keystone species through arts and culture, will have three stops, ending in Chase on September 29. The theme this year is Mermaids and water people. KFPC will support the Chase feast, promote the Chase parade and possibly facilitate transportation to the parade. Farm to Chef’s Grazing Event, an annual fundraiser, takes place at Stuart Wood on August 26. KFPC will be the recipient of the fundraiser. KFPC was saddened to hear of Elmer King’s passing on May 15. JUMP will be organizing a celebration of life later in June. In Elmer’s honour, Street Scene has been renamed The Big Edition and the inaugural summer edition will be released on July 1. A big welcome is extended to Greg Unger (pictured at the top of the newsletter! 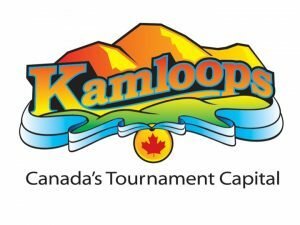 ), the new Social Enterprise Coordinator, as well as a thank you to the City of Kamloops for supporting social enterprise through the Social Enterprise Accelerator Program. KFPC will be working with Purrpl (Purposeful People out of Kelowna) to develop a business plan. The plan is to take a portion of gleaned fruit, make it shelf stable, and sell it to the Boys and Girls Club. Down the road, the intention is to also have a retail stream. Another component of the program is to provide food literacy workshops through harvesting, food processing, reducing food waste, and garden tours. 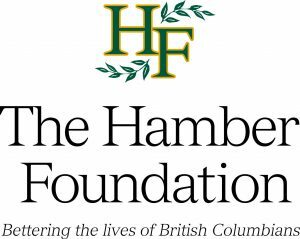 KFPC, the Food Bank, ICS and the City of Kamloops is working on a Food Insecurity Forum, which will focus on actions to help people who are hungry, advocacy and research. A joint grant application with ICS was successful, which means there will be more food literacy workshops. KFPC plans to build a float for the Wild Salmon Caravan using a utility trailer. Anyone inspired by merpeople or trout children and being a part of the float? Contact us to be a part of a float crew: kamloopsfoodpolicy@gmail.com. 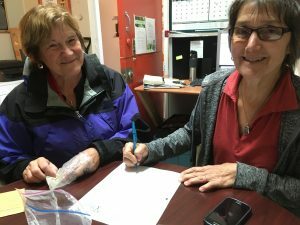 It was exciting for the Seed Library to fill out its first intake and receive heirloom edamame seeds into the library. Read all about it here. ICS and KFPC have aligned missions, so it’s fantastic to hear about all that they are involved with right now. ICS is the first Community Food Centre in BC (there are only 12 in Canada). Their focus is on whole, unprocessed, healthy food and kids programming to develop knowledge and skills to grow, cook, harvest and glean food. Community Kitchens – there is both a drop in program with local resources or a culinary series program that runs for 6 – 12 weeks. Kids – for kids under 13 years old, there are one-stop drop in programs and 6 – 10 week programs. During the summer, YMCA Camp Days run, using the main hall, kitchen and garden. During the school year, School District 73 will also be involved with the Food Centre. Food Access – programs that fit in with this involve the Food Bank and Food Recovery, as well as food collected at the Farmers’ Market. The Garden is available for kitchen programming. Better at Home – works with people who are over 65 years old on low income. The Food Bank hamper delivers to 21 clients and the grocery shopping with free delivery has 86 shoppers. The Farmers’ Market coupon program coincides with a Friday tea where participants can pick up the coupons. This program, with a capacity of 35 people, is almost full with only 3 spaces left. One of the gaps ICS is trying to fill is to fundraise for and develop programming meaningful for youth. In terms of partnerships, ICS provides tailor made workshops (e.g., team building) and presentations to community groups. Some of the volunteering opportunities with ICS include helping in the garden, food processing, helping with hampers, yard maintenance, and informing the community of where Mount Paul Community Food Centre is and what they do. For more information about Mount Paul Community Food Centre and their programs, visit their website. Food trucks, artisan vendors, children’s activities, community info booths, and live music! Grow a Row has started through the Kamloops Food Bank. JUMP also mentioned that they will be starting a Pick a Weed Program at the JUMP plot on Elm and Tranquille. When you’re walking by, take a moment to pull a week or two. 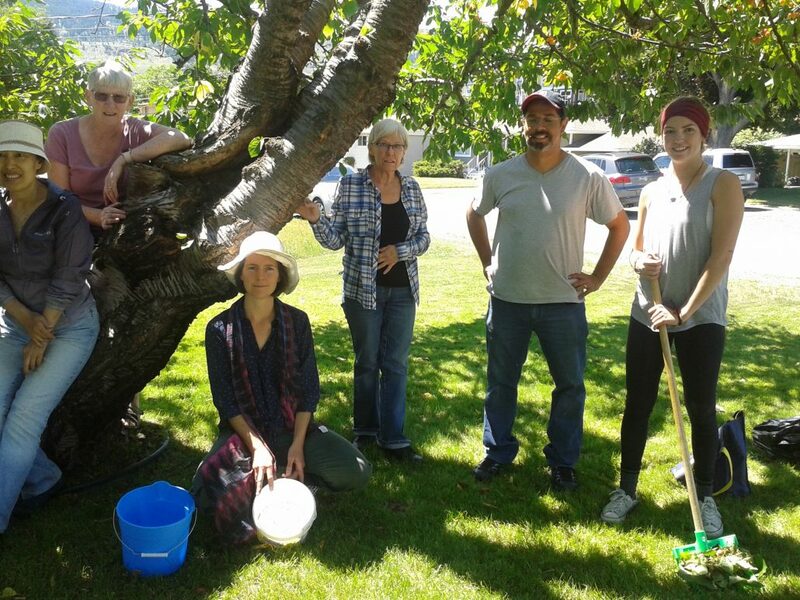 June Bounty – Kamloops Food Policy Council Partnerships at Work. The KFPC is a network of groups and individuals who value our local food assets and don’t mind sharing! The Mount Paul Community Food Centre often has volunteer groups come to help out in their garden. Today’s crew harvested beautiful strawberries and then sat in the shade to cool off and enjoy some. 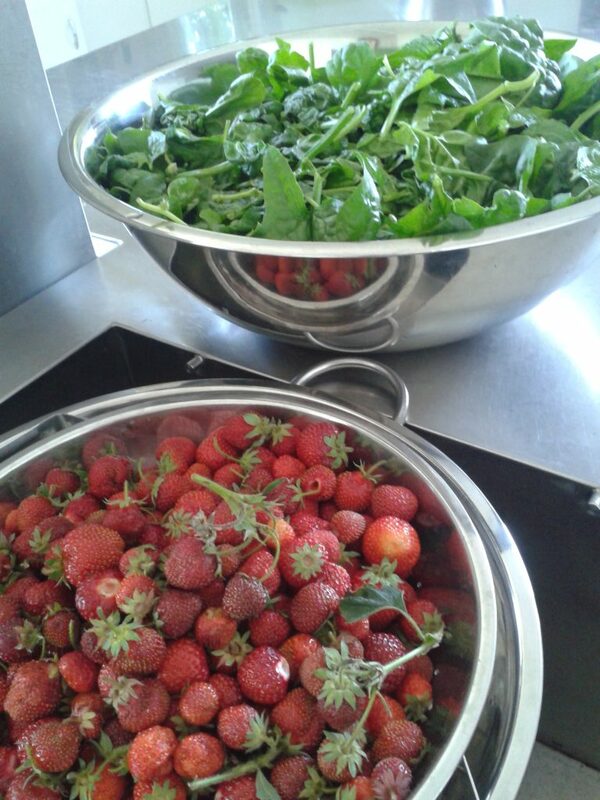 Some of the amazing, fresh-picked strawberries along with vitamin and mineral-packed organic spinach donated by Gardengate – ready to be washed and used in the Mount Paul kitchen. What would you make . . . ? http://kamloopsfoodpolicycouncil.com/wp-content/uploads/2018/07/image003.jpg 1024 768 Sandra Frangiadakis http://kamloopsfoodpolicycouncil.com/wp-content/uploads/2018/04/KFP_logo_print_full_flat-300x180.png Sandra Frangiadakis2018-06-21 12:16:162018-07-04 12:28:43June Bounty – Kamloops Food Policy Council Partnerships at Work.